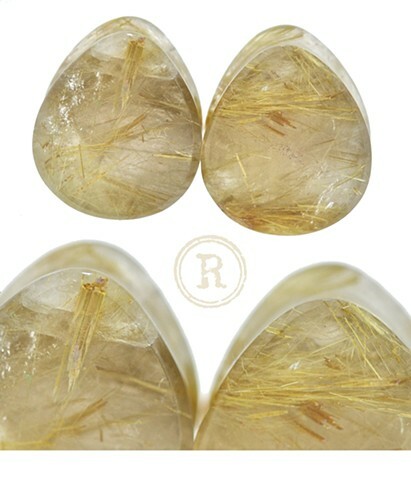 A beautiful set of Rutilated Quartz with dense golden Rutile in lateral sprays across the faces. Especially gorgeous in sunlight. 12mm OAL with 2mm flares. Perfect for skinnier lobes!